You’ve seen us write more than once that enjoying bands who play on Friday nights are a great way to unwind and erase the stress of the arduous work week past. Tonight is certainly no exception. The Maldives offer the perfect soundtrack to a Friday night at the bar with your friends. The group plays haunting Americana rock with a dash of bluegrass. 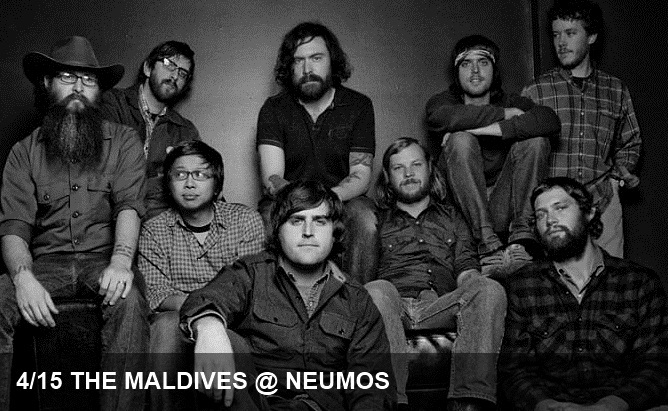 Rather than hokey twang, The Maldives’ work is honest roots music with a bit of PacNW melancholy and the result is a truly enchanting collection of melodies. Tonight, The Maldives will headline with opening sets from fellow local act The Horde and the Harem as well as favored newcomers, Lemolo. The Doe Bay Sessions – The Maldives “Go Back to Virginia” from Sound on the Sound on Vimeo.